Javier Pérez Sandoval Colombian Jazz Composer. Latin Grammy nominated. Has published two books about Colombian tradicional music. Leader and producer of Carrera Quinta Colombian ensemble. Studied his masters degree in Jazz composition and arranging at University Of Louisville Jamey Aebersold Jazz studies program studying with the great John La Barbera. Javier Pérez´s compositions have been played by Jazz ensemble I at University of Louisville, in Colombia by Carrera Quinta ensemble and Orquesta sinfonica de Loja in Ecuador. In 2013 received a commission from the Bogota Jazz festival Big band “Jazz al parque 2013”, the biggest jazz festival in Colombia. 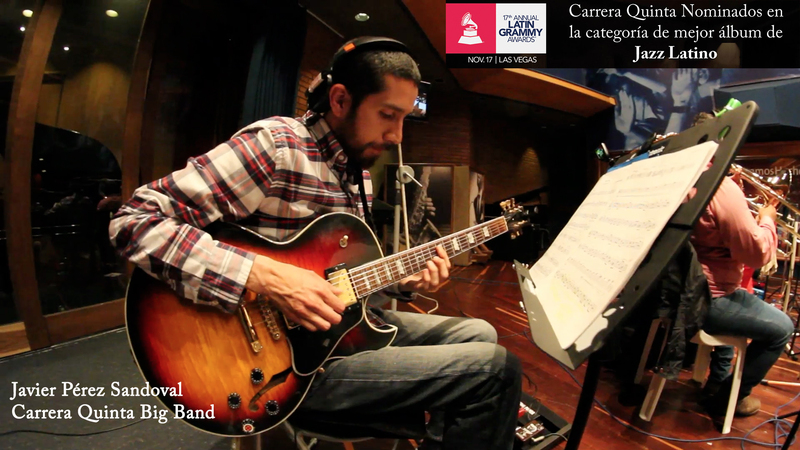 Rencently his Big band suite “Take a deep Breath” was awarded in a national composition competition in Colombia. His articles and books about Colombian traditional music have been published by the Colombian Cultural department. Some of his original works and Colombian music arrangements have been requested by Berklee´s college of music professor Oscar stagnaro for education purposes. In november 2011 was invited to give a workshop about Colombian Music in Berklee College of music.